Reason 1: The job or workplace was not as expected. Reason 2: There is a mismatch between job demands and person personality. Reason 3: There is too little coaching and feedback. Reason 4: There are too few growth and advancement opportunities. Reason 5: Workers feel devalued and unrecognized. 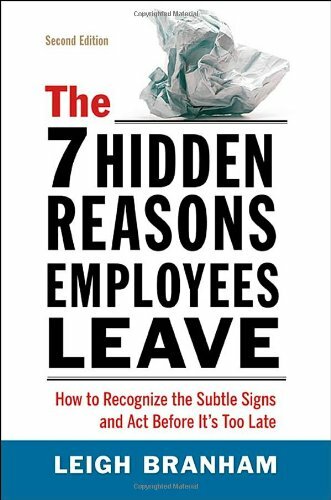 Reason 6: Workers suffer from stress due to overwork and work‐life imbalance. .
Reason 7: There is a loss of trust and confidence in senior leaders.